We Buy Houses Hanford - Get a Cash Offer Now. Locally Owned Cash Home Buyer Serving the Hanford, CA Area. Hi, Chris Williams here, founder of SellMyFresnoHouse.com. Do you own a home or property you need to sell quickly? Are you looking for a quick and fair cash offer on your Hanford house? I want to help! We Buy Hanford Houses For Cash, in any condition, and any area! Our Home Selling Process is a very simple and straight-forward method that we have used to purchase several hundred houses here in the Hanford area. We have spent years helping home owners just like you who have been burdened by unwanted or costly properties. We Buy Hanford properties for cash without you paying for any real estate commissions, fees, or making any repairs. When we buy your house, you choose the closing date and you can rest assured you will get exactly what we agree to. Hundreds of homeowners all over the Hanford area have sold their homes to us because it saves them from having to list their property with an agent, wait for buyers, clean up the property and make it financeable, and pay costly commissions and closing costs. You’ll get cash in your pocket. We buy houses in Hanford and we pay cash at a fair price. You’ll sell your Hanford house in as-is condition. That means we’ll buy the house just as we see it! You don’t need to make costly repairs to make the property livable. Trash in the property? No problem! Leave everything there and we’ll take care of it! Are you ready to sell your Hanford house for cash today? At SellMyFresnoHouse.com, we understand that selling any house can be stressful and time consuming and the last thing you need to worry about is dumping more money into repairs and updates. For people that need to sell their Hanford house fast, a full cash offer can be an incredible opportunity. Selling your Hanford house fast for cash is simple. We’ll make you a fair offer and pay cash for the property, allowing you to leave your unwanted property hassle free. Find out how to sell your Hanford house for cash – no obligation or commitment! If you have a house in Hanford that you don’t want or need, or it has just become a major burden, I want to make you our best cash offer today! Do you own a Hanford house or property that you no longer want? 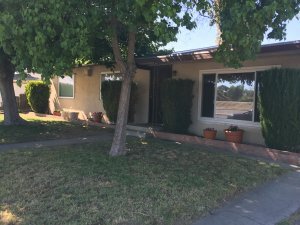 Have you found yourself thinking lately, “I wish I could sell my Hanford house for cash?” Well, I’m here to tell you that with help from SellMyFresnoHouse.com, you can trade in your house for cash, no matter the condition! If you’re tired of being burdened by your unwanted property, we want to give you the best cash offer possible, guaranteed. Don’t waste time and money dealing with a real estate agent or waiting for a buyer. Instead, skip the fees, commissions, and crowds of people walking through your house. Let SellMyFresnoHouse.com buy your Hanford home for cash today!